Meet best friends Catherine, Rachel and Sarah. Yet to find Mr Right, they’ve been settling for Mr Right Now. 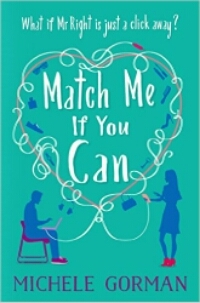 But when Catherine, London’s finest matchmaker, gets the girls to join her dating site where they can rate and recommend their ex-boyfriends, they soon realise that anything could happen… There’s someone for everyone, right? These best friends are about to find out. 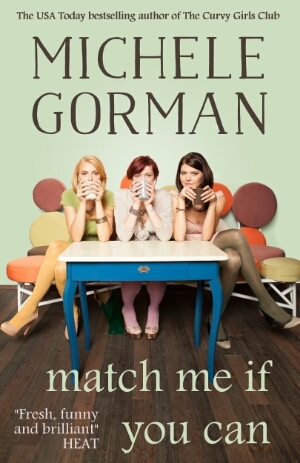 To complement the UK cover, we at Notting Hill Press designed the US cover using the same fonts and heart motif. But something started to bother us. 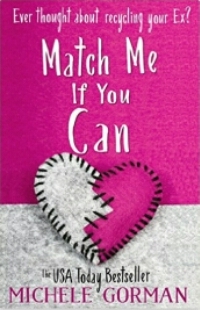 Match Me If You Can is also about strong women. It’s funny, cheeky, poignant and realistic. The women join the dating website and recycle their exes but their lives – their friendship, families and careers – are at the heart of the book. And while both British and American fans are definitely romantics, American readers are also really partial to a feisty story about friends. As a UK reader the new US cover appeals to me far more than any of the others! I always find when I’m in the US I buy far more books in this genre than I do at any other time and it is definitely because of the covers. I’m definitely more partial to the way American women are marketed to than UK women! It’s interesting to know your thoughts. Some covers from the US appeal to me more, maybe it’s a good reason to visit America? Hehe.